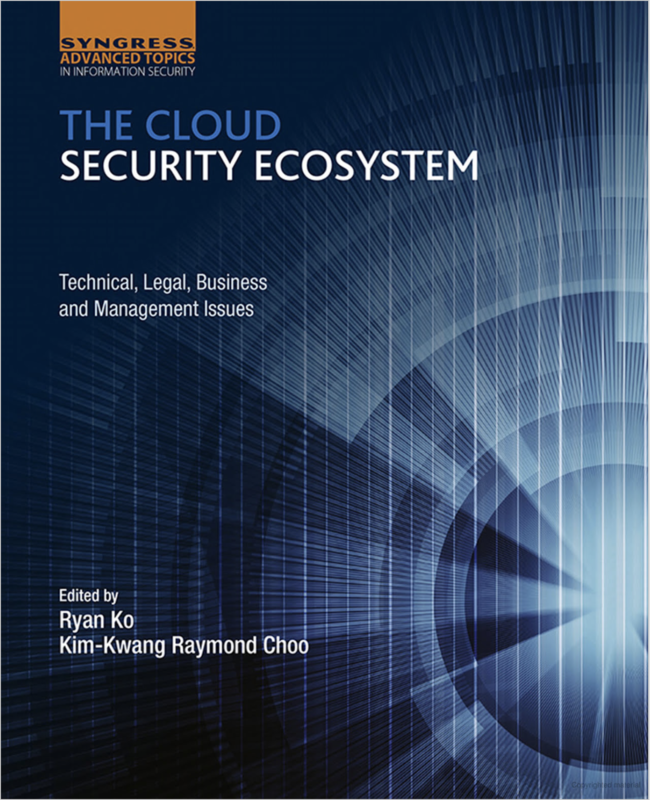 Associate Professor Ryan Ko is Head of Cyber Security Lab at the University of Waikato, New Zealand. He is also an Affiliate Faculty Member of the Idaho State University National Information Assurance Training and Education Center (NIATEC), USA. Assoc Prof Ko is part of the 8-member NZ Cyber Security Skills Taskforce reporting to the NZ Minister for Communications, and a Technical Advisor serving the Ministry of Justice in cases related to the Harmful Digital Communications Act (2015). Assoc Prof Ko also serves as an expert to the INTERPOL Global Complex for Innovation, and on the assessment panels for the MBIE Endeavour Fund and NZQA. His main research goal is "returning control of data to users", and his research interests cover Cyber Security, Cloud Data Provenance (Data Tracking), Applied Cryptography (Homomorphic Encryption), Data Visualization, and Cloud Computing Security. A Fellow of the Cloud Security Alliance (CSA), he established and leads the Cyber Security Researchers of Waikato (CROW) – NZ's first cyber security lab and graduate research programme , established the New Zealand Institute for Security and Crime Science - Te Puna Haumaru as its founding director from March 2017 to August 2018, and serves as the Principal Investigator/Science Leader of the NZ$12.23 million MBIE-funded STRATUS project and Editor of international standard ISO/IEC 21878. He also co-created the (ISC)2 Certified Cloud Security Professional (CCSP) certification – the top cloud security professional certification in the world. Together with his team at CROW, he established the New Zealand Cyber Security Challenge since 2014. To date, the competition is a nation-wide competition (400+ in 2018 and 2017; 267 participants in 2016) with 3 rounds (Round 0 (Online Qualifying), Round 1 (Capture-the-Flag), and Round 2(Attack-Defence)). CROW works with more than 50 international and NZ organisations, including the INTERPOL, ISO, Office of the Privacy Commissioner, NZ Police, Waikato District Health Board, InternetNZ, Gallagher, LayerX and the NZ National Cyber Policy Office. Since its beginnings in 2012, CROW has more than 50 alumni, and has contributed to features within global open-source projects such as OpenStack, and the THC IPv6 Toolkit. The lab has also submitted several responsible disclosures for discovered vulnerabilities to several multi-national and NZ IT vendors. Prior to joining the faculty in 2012, he had 10 years experience in technology, including 2 startups and most recently as a lead computer scientist with Hewlett-Packard (HP) Labs' Cloud and Security Lab. He is Associate Editor for 6 academic journals, and active as co-chair and technology board member of several industry companies (e.g. LIC), cyber security industry consortia and chapters, including the ISO/IEC JTC 1/SC 27 committee. A Singaporean, he holds 3 awarded PCT/International patents in cyber security, a B.Eng (Hons.) (Computer Engineering) and Ph.D. from Nanyang Technological University, Singapore. Ryan is also a life member of ACM, and member of IEEE and RSNZ. A summary of his research publication citations and impact can be found on Google Scholar. Co-PI, NZ Law Foundation - Identifying Encryption Principles for New Zealand (ENCRYPT NZ), Michael Dizon (PI), Ryan Ko, Wayne Rumbles, Amount: NZD 59,000 (from September 2017). Associate Investigator, Education New Zealand, International Education Growth Fund, “Promoting a New Master of Cyber Security Degree and Establishing Long-term Partnerships in South East Asia”, NZD66,000 for project, support from ENZ NZD33,000. 2013-, Assoc. Editor, Int’l J. of Applied Pattern Recognition (Inderscience). 2016, Panel Member, MCDA Workshop for proposed New Zealand Computer Emergency Response Team (NZ CERT), National Cyber Policy Office, Beehive, Wellington. 2016, National Body Representative, Security & Privacy Stds. Technical Comm. (SPSTC), Singapore, for International Organization for Standardization (ISO) SC27. 2015, Assessment Panel Member, MBIE Smart Ideas Phase 1 Concept Proposals. 2015, Invited Participant (representing Australasia), Global Conference on CyberSpace (GCCS 2015), The Hague, the Netherlands. 2015, National Body Representative, Security & Privacy Stds. Technical Comm. (SPSTC), Singapore, for International Organization for Standardization (ISO) SC27. 2014, Subject Matter Expert, Certified Cloud Security Professional (CCSP) Standard Setting Workshop, (ISC)2, Orlando, Florida. 2014, Panel Member, Cyber Security Strategy Workshop, National Cyber Policy Office, The Treasury, Wellington. 2014, Panel Member, Cybercrime Workshop, National Cyber Policy Office, Pipitea House, Wellington. 2014, Subject Matter Expert, Test Pull Workshop, Exam Development for new (ISC)2-CSA Certification for Cloud Security Professionals, Atlanta, Georgia. 2014, Subject Matter Expert, Item Writing Workshop, Exam Development for new (ISC)2-CSA Certification for Cloud Security Professionals, Clearwater, Florida. 2013, Subject Matter Expert, Item Writing Workshop, Exam Development for new (ISC)2-CSA Certification for Cloud Security Professionals, San Francisco, CA. 2013-, Co-Founder/ Chair, CSA Cloud Vulnerabilities Working Group. 2013, Subject Matter Expert, Job Task Analysis Workshop/ Exam Development for new (ISC)2-CSA Certification for Cloud Security Professionals, Orlando, Florida. 2012, Industry Advisory Committee, Singapore Cloud Computing Standards Development, Infocomm Development Authority (IDA) of Singapore. 2011, Judging Panel, Finals, UK National Cyber Security Challenge 2011. 2016, Programme Chair, 6th IEEE Int’l Symposium on Trust & Security in Cloud Computing (TSCloud), Tianjin, China. 2016, Programme Co-Chair, 16th International Conference on Algorithms and Architectures for Parallel Processing (ICA3PP 2016), Granada, Spain. 2016, Programme Co-Chair - Security Track, 14th International Conference on Privacy Security and Trust, Auckland, NZ. 2015, Programme Chair, 5th IEEE Int’l Symposium on Trust & Security in Cloud Computing (TSCloud), Helsinki, Finland. 2015, Programme Chair, 3rd CSA Asia Pacific Congress, Guangzhou, China. 2015, Workshop Co-Chair, The 15th International Conference on Algorithms and Architectures for Parallel Processing (ICA3PP 2015), Zhangjiajie, China. 2014, Chair, 4th IEEE Int’l Symposium on Trust & Security in Cloud Computing (IEEE TSCloud 2014), Beijing, China. 2014, Programme Co-Chair, 2nd Int’ Conf. on Security in Computer Networks and Distributed Systems (SNDS-2014), Trivandrum, India. 2013, Programme Co-Chair, 2nd Cloud Security Alliance Asia Pacific Chief Information Security Officer (CISO) Forum 2013, Macau. 2013, PC Chair, 1st Cloud Security Alliance APAC Congress 2013, Singapore. 2013, Chair, 3rd IEEE Int’l Symposium on Trust & Security in Cloud Computing (IEEE TSCloud 2013), Melbourne, Australia. 2013, Workshop Chair, 15th IEEE Int’l Conference on High Performance Computing & Communications (IEEE HPCC 2013), Zhangjiajie, China. 2013, Workshop & Special Sessions Chair, 2nd Int’l Conference on Advances in Computing, Communications & Informatics (ICACCI 2013), Mysore, India. 2012, PC Chair, 2nd IEEE Int’l Symposium on Trust & Security in Cloud Computing, (IEEE TSCloud 2012), Liverpool, UK. 2012, PC Chair, 4th IEEE Int’l Symposium on UbiSafe Computing (UbiSafe), Liverpool. 2011, Co-Founder/ Co-Chair, 1st IEEE Int’l Workshop on Trust & Security in Cloud Computing, (IEEE TSCloud 2011), Changsha, China. 2016, 9th International Conference on Utility and Cloud Computing, Shanghai, China. 2015, 8th IEEE International Conference on Internet of Things (iThings 2015), Sydney, Australia. 2015, The 6th International Workshop on Trust, Security and Privacy for Big Data (TrustData 2015), Zhangjiajie, China. 2015, 13th International Conference on Service Oriented Computing (ICSOC 2015), Goa, India. 2015, 10th International Conference on Evaluation of Novel Software Approaches to Software Engineering (ENASE 2015), Barcelona, Spain. 2014, Applications and Technologies in Cyber Security (ATCS) Workshop, Beijing, China. 2014, 5th International Workshop on Wireless Networks and Multimedia (WNM-2014), Dalian, China. Secure Virtual Infrastructures (ex-DOA), Amantea, Italy. 2014, International Workshop on Trust in Cloud computing (IWTCC), London, UK. 2014, 2nd International Conference on Security in Computer Networks and Distributed Systems, Trivandrum, Kerala, India. 2014, 9th IEEE Int’l Contest on Cloud Computing (CLOUD Cup), Alaska, USA. 2014, TrustData Workshop 2014, Dalian, China. 2013, 8th IEEE Int’l Contest on Cloud Computing (CLOUD Cup), Santa Clara, CA. 2013 IEEE Int’l Conf. on Internet of Things (IEEE iThings 2013), Beijing, China. 2013, IEEE ICPADS Workshop on Cloud Services & Systems (CSS 2013), Seoul. 2013, 2nd Asian Conf. on Information Systems (ACIS 2013). Phuket, Thailand. 2013, DOA-Trusted Cloud 2013, 3rd Int’l Symp. on Secure Virtual Infrastructures, OnTheMove Federated Conferences & Workshops 2013,Graz, Austria. 2013, 4th Int’l Workshop on Wireless Networks & Multimedia (WNM 2013), in conj. with 11th IEEE ISPA, Melbourne, Australia. 2013, 4th Int’l Conf. on Cloud Computing, GRIDs & Virtualization, Valencia, Spain. 2013, 9th Asia Pacific Conf. on Conceptual Modeling (APCCM 2013), Adelaide. 2012, 10th Int’l Conf. on Services Oriented Computing (ICSOC 2012), Shanghai. 2012, 18th IEEE Int’l Conf. on Parallel & Distributed Systems (ICPADS-12),Singapore. 2012, 3rd IEEE Int’l Workshop on Wireless Networks & Multimedia, Liverpool. 2012, 8th Asia Pacific Conf. on Conceptual Modeling (APCCM 2012), Melbourne. Invited Speaker, "Closing the Gap: Protecting Business Capabilities Against Security Threats", NZ Cloud Computing and Hybrid IT Forum, 6 September 2016, Rendezvous Hotel, Auckland, NZ. Keynote Speaker (addressing NZ Members of Parliament), “Returning Data Control to Users – The Next Frontier For Cloud Security Research”, Royal Society of New Zealand Speakers Science Forum, 2 March 2016, the Beehive (NZ Parliament Building), Wellington, NZ. Invited Speaker, “Securing the cloud by empowering its users - Introducing the NZ STRATUS Research Project”, NZ Cloud Computing Conference, September 2015, Auckland, NZ. Invited Speaker, “The Holy Grails of Returning Control of Data to Cloud Users”, Data Privacy Asia, 25-27 August 2015, Singapore. Invited Panellist, “Privacy versus Protection: Using Private Data for Public Good – Maintaining the Balance”, Data Privacy Asia, 25-27 August 2015, Singapore. Invited Panellist, “Cloud Data Privacy and Data Sovereignty”, Data Privacy Asia, 25-27 August 2015, Singapore. Session Chair, “Data control in cloud environments”, NetHui 2015, July 2015, Auckland, NZ. Invited Speaker, “An Overview of New Zealand and University of Waikato Cyber Security Strategies and Research”, 28 April 2015, CSA APAC Education Council Seminar, Singapore. 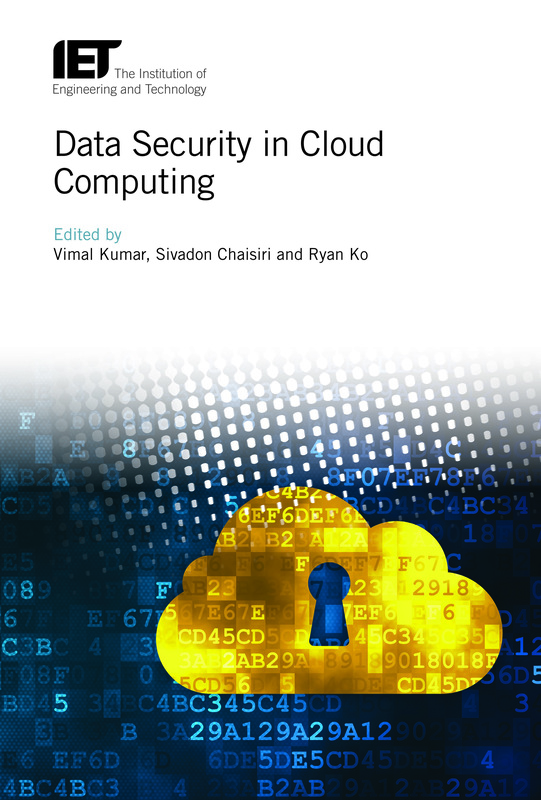 Invited Panellist, “Will the Cloud ever be secure”, Industry Panel, IEEE 6th International Conference on Cloud Computing Technology and Science, 17 Dec 2014, Singapore. Invited Speaker, “Don’t Get Bit-ten - How Safe Are You Online?”, University of Waikato Winter Lecture Series, 13 August 2014, University of Waikato, Hamilton, New Zealand. Invited Speaker, “Swords against Atomic Bombs - Fundamental Gaps and Opportunities in Cyber Security Research and Development”, Institute of IT Professionals (IITP) New Zealand Public Lecture, 17 June 2014, University of Waikato, Hamilton, New Zealand. Invited Speaker, “Cloud Security Research in Motion”, ASEAN CSA & OWASP Summit, Bangkok, 3-4 June 2014, Bangkok. Mathew Andela - Mobile communication security for personal data using tamper/attack resistant smart personal device.